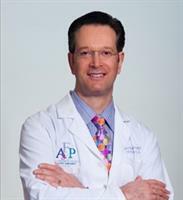 Jonathan Pontell, MD, FACS, is an exceptionally gifted facial plastic surgeon. Over the course of his career, Dr. Pontell has helped thousands of patients enhance their facial beauty, remove aesthetic imperfections, and turn back the hands of time. His dedication to providing the best possible results for each individual attracts numerous Philadelphia cosmetic surgery patients each year. Explore the paragraphs below to learn about the top five reasons why you should choose Dr. Jonathan Pontell as your facial cosmetic surgeon. Services Jonathan Pontell, MD offers plastic surgery at 303 LANCASTER AVE, Wayne, PA 19087. Jonathan Pontell, MD may be able to perform enhancement, anti-aging, and reconstructive surgeries for patients seeking to improve their natural features or correct medical problems. As a provider of plastic surgery in Wayne, PA, Jonathan Pontell, MD likely offers both surgical and minimally invasive cosmetic procedures to enhance or correct physical features. The most common procedures a plastic surgeon in Wayne, PA usually provides include breast augmentation and reduction, tumor surgery, microdermabrasion and face lifts. To make an appointment with a Plastic Surgeon in Wayne, PA, call Jonathan Pontell, MD at (610) 688-7100 for more information. I had a rhinoplasty done in the past year. I had a good experience with Dr. Pontell and his staff. They clearly told me how to prepare myself for the procedure and how to take care of the nose afterwards. I wish the patience required for this procedure had been a little more stressed. Once I realized how patient I had to be to see my results, I had a more positive experience. I like my nose more and more each month into the healing process. He is a very knowledgeable doctor and knows what will suit his patients. Had restylane procedure on forehead and around mouth. Office staff and Doctor are very friendly, answered all of my questions and put me at ease.